Website founder for millennials of color; personal interests in culture and feminism. I’ve also written for the Daily Dot, and currently write for Media Matters. I work with a A Women’s Thing. We are a print quarterly + blog focused on reforming women’s media. 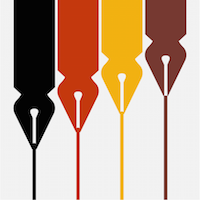 We are actively interested in expanding the diversity of our writers, in terms of background, race, ethnicity, sexual identification, areas of interest, and more.